Email is the most widely used form of business communication, but also one of the main causes of lost productivity in the workplace. Managing tasks and meetings is crucial to working effectively and professionally, so proficiency with emails and email-management systems has a powerful impact on the day-to-day productivity, efficiency, punctuality and success of businesses. Compose and send high quality emails. Find desired emails in an instant, and quickly review core material from past emails. Automate email management and presentation. Manage appointments, meetings, notes and tasks efficiently. PC or Mac with a full version of Microsoft Outlook (2010 to 2013 or Microsoft 365). Professionals at all levels using Microsoft Outlook 2010 or above. Individuals that use Outlook to manage their personal emails and schedule. Anyone who's seriously considering Outlook as their email-management system. Familiarise yourself with Outlook interface. Have complete control of task lists and calendars. Be able to automate the creation of mass communications. 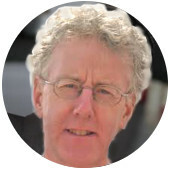 Simon Hurst is a Chartered Accountant and has been involved in computer software for 26 years during which he has provided a wide range of training services to professionals of all levels. He has formally been the Chairman of the ICAEW IT Faculty and his expertise lies in all the main Microsoft applications: Access, Word, PowerPoint, Excel and Outlook about which he speaks frequently at conferences. Simon is also the author of the Filtered's Excel, Advanced Excel, Word, PowerPoint and Effectives Outlook training courses.